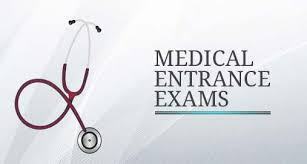 AIPGMEE 2016 (All India Post Graduate Medical Entrance Examination) is an entrance test which is conducted in India every year by the National Board of Examinations (NBE) in order to grant aspiring applicant’s admission in diverse medical institutions and universities which provide M.B.B.S and B.D.S courses in private as well as government universities. AIPGMEE 2016 is a national level examination. The applicant can apply for this course only if his/ her nationality is Indian. The applicant should have gained the M.B.B.S degree from any medical institute which is recognized by the Indian Medical Council. The applicant should have completed one year compulsory rotating internship or will be completing the same on or before 31st March 2015. The syllabus for this particular examination includes all the subjects taught in the M.B.B.S course. This particular entrance test will be conducted online. 300 multiple choice questions will be asked in the paper. Each correct answer will consist of 1 mark. The duration will be 3 and half hours. Applicants who wish to apply for this course must do so by visiting and filling the form online on the official website. A certain amount of fees is to be paid in the form of demand draft or payment order along with necessary documents and the form at the time of submission.